Every year, millions of people in the U.S. experience diagnosable symptoms of alcohol abuse or alcoholism. People addicted to alcohol typically undergo a range of severe changes in their day-to-day physical well-being. Some of these changes appear in a brief span of time, while others develop over a period of months or years. The physical effects of alcohol can lead to severe health problems or even death. 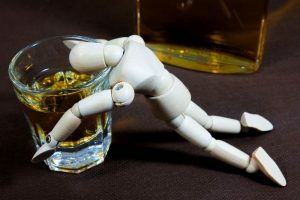 However, in people who receive treatment and establish abstinence, some of the problems triggered by chronic heavy drinking may ease in severity over time. If you or your loved one are concerned about liver, heart, brain or kidney problems linked to the presence of alcoholism, you can help limit your exposure to harm by enrolling in alcohol treatment. Call (888)-459-5511 today for more information. Recap: What Effects Does Alcoholism Have on the Body? The liver carries responsibility for breaking alcohol down and eliminating its byproducts from the bloodstream as rapidly as possible. However, in an hour’s time, this organ can only process the amount of pure alcohol contained in one standard drink (approximately 14 grams). Anyone who imbibes at a faster pace will be exposed to the substance’s potential harms. In the heart, a high level of alcohol intake can disrupt the electrical signaling system that makes the organ function. In turn, this disruption can lead to a reduction of vital blood flow. Any part of the body that doesn’t receive enough blood can sustain damage as a result of insufficient nutrients or oxygen. Inside the brain, all alcoholic beverages slow down the standard rate of activity between the nerve cells (neurons) that provide pathways for incoming and outgoing communications. If this rate falls below a sustainable point, the brain will stop sending an adequate number of signals to the lungs, heart and other vital organs. The term used to describe this dire situation is alcohol poisoning. In a person who establishes a pattern of heavy drinking, alcohol-related changes in the brain also set the stage for the development of alcoholism (i.e., alcohol dependence). This situation occurs when the brain grows accustomed to the chemical alterations triggered by alcohol’s presence and produces a strong, negative reaction when levels of the substance fall too low. The long-term changes associated with alcoholism explain the condition’s accepted medical standing as a chronic brain disease. Regardless of their level of alcohol dependence, people who drink heavily in a short amount of time can also become dehydrated, develop electrolyte imbalances or experience something called an acute kidney injury (AKI). The potential consequences of these three kidney-related problems range in severity from minor to life-threatening. Besides, repeated involvement in alcohol binging increases the odds of eventually becoming an alcoholic. The physical effects of alcohol abuse and alcoholism tend to grow progressively worse over time. In the liver, these effects can include any one of three conditions grouped under the heading of alcohol-related liver disease (ALD). The first of these conditions is known as steatosis or fatty liver. It occurs when heavy drinking triggers an unusual buildup of fat inside the organ’s cells. The second form of ALD, alcoholic hepatitis, is marked by destructive inflammation that harms or kills liver cells. The third form of ALD, cirrhosis, is characterized by the gradual replacement of healthy, functional liver tissue with useless scar tissue. The liver-related effects of chronic alcoholism can also have a significant damaging impact on long-term kidney function. Specifically, the severe problems produced by alcoholic hepatitis and cirrhosis can trigger a form of kidney failure called hepatorenal syndrome. In many cases, this condition is first uncovered in hospitalized liver patients. In its advanced stages, it can lead to catastrophic outcomes that include large-scale organ failure, heart failure, coma and end-stage kidney disease. As a result of a chronic vitamin B1 (thiamine) deficiency, people who are dependent on alcohol can also develop a two-part condition called Wernicke-Korsakoff syndrome. The first stage of this condition, Wernicke encephalopathy, produces damage in two critical areas of the brain. The second stage, Korsakoff syndrome, usually develops in the aftermath of Wernicke encephalopathy and triggers a moderate-to-severe form of psychosis. Two specific types of heartbeat irregularities are associated with alcoholism: ventricular tachycardia (which affects the organ’s bottom two chambers) and atrial fibrillation (which affects the top two chambers). Clearly, alcoholism can take a severe negative toll on systems throughout the body. In some cases, recovery from these effects is possible. For example, a person who establishes alcohol abstinence can potentially reverse the effects of fatty liver, alcoholic hepatitis, and even cirrhosis. However, once they take effect, some of the physical consequences of long-term alcoholism may last a lifetime. Up-to-date guidelines for the diagnosis of alcohol-related problems group alcohol dependence together with non-addicted alcohol abuse under the heading of alcohol use disorder. Current federal alcoholism statistics show that more than 15 million Americans suffer from this condition. Just a fraction of those affected receives proper treatment. All told, the nationwide health care costs of heavy drinking total more than $20 billion a year. When all other economic factors are included, the annual costs rise to roughly $250 billion. 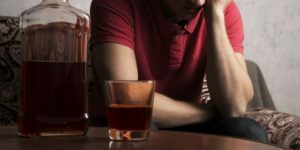 Enrollment in inpatient or outpatient alcohol treatment can help you avoid some of the most severe physical and mental consequences of long-term heavy drinking. For more information on next steps, you or your loved one can call (888)-459-5511 today.